Six Days of Slovenian Mardi Gras Festivities for All! there is something for everyone in this week of cultural Mardi Gras fun! Cleveland, OH—Cleveland Kurentovanje (koo-rahn-toh-VAHN-yay), a Slovenian-infused Mardi Gras festival, is carnival event that has been celebrated in Slovenia for the past 50 years, connecting culture, arts, and people from all over Europe. The central figure of the carnival, the Kurent, is believed to chase away winter and usher in spring with its supernatural powers. Since its inception in 2013, Cleveland Kurentovanje has been held in the historical Slovenian immigrant neighborhood of St. Clair-Superior and has seen exponential growth with thousands in attendance each year. Join us as we kick off a week of Cleveland Kurentovanje celebrations with a special Kurentovanje-inspired dinner presented by chefs from Slovenia and Cleveland. The event will take place at The Slovenian National Home (6417 St. Clair Ave. Cleveland), and will feature a multi-course menu accompanied by two glasses of wine or beer for each ticket-holder. Kristjan Erman, Srečko Kunst and Nejc Kunst - Gostilna Šempeter located in the Štajerska region of Slovenia. Chef Erman and owners Kunst will be coming to Cleveland from the restaurant Gostilna Šempeter whcih features traditional Slovenian food with a modern twist. Gostilna Šempeter is known for it's specialization in "Kopun" - also known as Capon - which are specially raised roosters which are appreciated for their soft white meat. Kopun is a traditional dish with a long history within the Kozjansko area, where Gostilna Šempeter is located. David Kocab - Chef de Cuisine at The Black Pig in Ohio City, Cleveland. Born-and-raised in Cleveland, Chef Kocab attended culinary school in Portland, OR, followed by work in Los Angeles. In Cleveland, David is proud to say has worked for Karen Small at the Flying Fig and Jonathon Sawyer at both The Greenhouse Tavern as well as the former Trentina where he was the CDC. Chef Kocab was named one of StarChef's Rising Star Chefs in 2016 and is a co-host of a food-related talk show called TasteBuds. Enormous and sincere gratitude to the following organizations which have made this evening possible: SABA, SPIRIT, OZS, Office for Slovenes Abroad, and The Slovenian Museum and Archives. 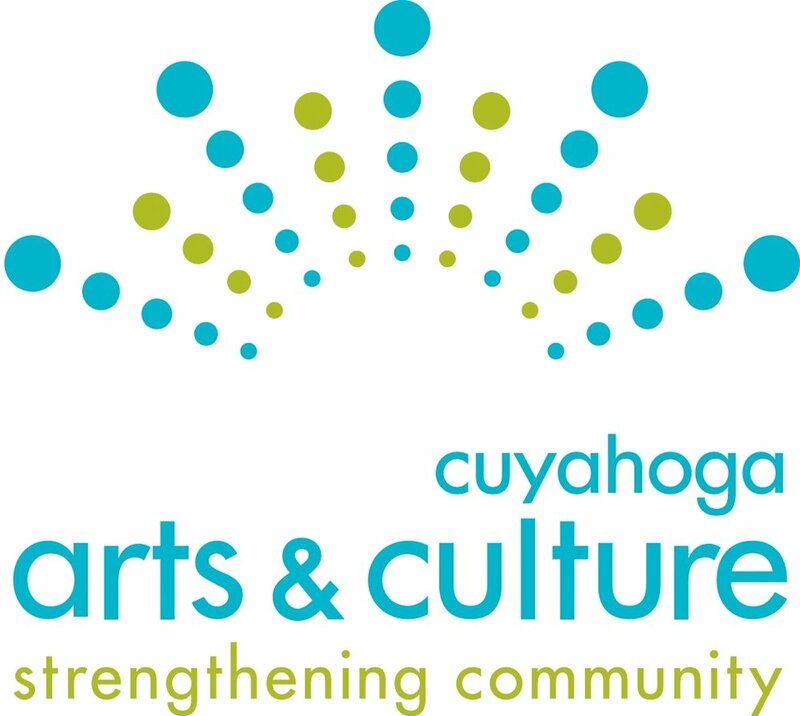 Proceeds from this event benefit Cleveland Kurentovanje, and will be used to help offset the cost of this year's festival which spans six consecutive days of programming. France Prešeren, widely recognized as the greatest Slovene classical poet, has authored numerous poetic works which are tremendously popular in Slovenian literature, and also wrote the lyrics in the Slovenian National Anthem. The Slovenian Museum and Archives (6407 St. Clair Ave., Cleveland) will open an interactive exhibit featuring music and songs that utilizes France Prešeren’s lyrics, on loan from the Prešeren House (museum) in Kranj, Slovenia. The “Prešeren Room” at the adjoining Slovenian National Home will also be open, and will feature recently discovered manuscripts of Prešeren’s work. The exhibit runs from 6:30-9:30pm, and will begin with a short lecture introducing the exhibit. Light refreshments will be provided and admission is free and open to the public. The Slovenian Museum and Archives is a non-profit (501c3) organization whose mission is to preserve and share Slovenian ethnic identity and its various migration experiences in a sophisticated, multi-functional and interactive dwelling. SMA provides an educational, cultural and literary resource for families that includes archives, library and museum. This event is free and open to the public. If you intend to attend, please obtain a free ticket so organizers can prepare the space for the appropriate number of attendees. Attendees without tickets will also be able to gain admission to the event. Join Cleveland Kurentovanje at Soulcraft CLE and Skidmark Garage for a night of woodworking and fun as you create your own unique cutting board. Materials and hands-on instruction will be provided in Soulcraft's woodshop as you construct an individualized, custom cut and sanded board. Afterwards, you'll take new handiwork down to Skidmark Garage's lounge, where you can fill your new board with cheeses, charcuterie, and fruits, and enjoy it with various wines. A great time to mingle, share in your hand crafted creations, and get ready for the Kurent's arrival! Soulcraft CLE and Skidmark Garage, are a part of the Hamilton Collaborative that also includes Ingenuity Cleveland, Rust Belt Riders, and other maker-based businesses housed in the historic Osborn Factory. Please join Slovenian Consul General Mr. Andrej Rode for an evening of information regarding Slovenian dual citizenship. Slovenian citizenship offers you a living connection to your heritage, and in this presentation, you will learn about eligibility for Slovenian citizenship, the benefits of Slovenian citizenship, and the process of obtaining citizenship. The presentation will be provided in English. Light refreshments will be provided and admission is free and open to the public. The Kurent Jump, on Friday, March 1, 2019 from 6pm – 9pm, will kick off the Cleveland Kurentovanje weekend. Held in the historic Hermit Club at Hofbräuhaus Cleveland (1550 Chester Ave. Cleveland 44114) and hosted by Hofbräuhaus Cleveland, this beautiful Bavarian setting will serve as the perfect location for the Kurent’s arrival. Kurent Jump is traditionally the first time that the Kurents appear in public, with their bells loudly ringing as they dance around a bonfire, initiating the Kurents' mission of chasing winter to make way for spring. The Kurent Jump is a phenomenon that has emerged in recent times in Slovenia, and this is the fourth year we will hold this event in Cleveland. Thanks to the generosity of Hofbräuhaus Cleveland, proceeds will benefit Cleveland Kurentovanje and help offset the costs of the festival and our expanded event schedule. 10am: The First Annual Kurent Dash 5K Race begins! 10am: Doors open at The Slovenian National Home for kids crafting and face-painting in anticipation of the parade, as well as the continuation of Friday night’s Bocce tournament. Food, drinks and shopping will also be available. The children’s craft this year are large paper flowers; children that create their crafts before Noon, can join the parade and march together as a field of spring flowers! 12pm: Parade kicks off traditional Kurentovanje, which will stretch through the neighborhood, departing from Saint Martin de Porres High School gym (E62nd and Lauche Ave), proceeding down St. Clair Ave, and ultimately ending at the Slovenian National Home. The procession will include Kurents, polka and marching bands, dance troupes, and other parading groups. Community organizations and groups of friends/family are encouraged to participate in the parade by signing up at www.ClevelandKurentovanje.com. All visitors are encouraged to dress in costume of any kind to celebrate in the Mardi Gras tradition. Until 6pm: Party time! Full programming on multiple stages at the Slovenian National Home will be sure to entertain you! Enjoy ethnic food and drinks, free face-painting and crafts for kids, ice carving demonstrations, and multiple stages of musical acts and cultural performances. Local craftspeople will also be selling homemade edibles and handmade goods. All attendees are encouraged to dress in costume for this Mardi-Gras masquerade event! Cleveland Kurentovanje is run by a volunteer steering committee and is supported by in-kind donations and sponsorships from businesses and organizations. 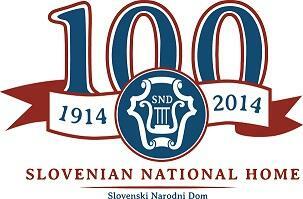 Donations of all kinds are accepted through the Slovenian Museum and Archive, the festival’s non-profit fiscal agent. High resolution Press Photos available upon request.